*Disclosure: This post has been sponsored, but all thoughts and opinions are my own. With Disney & Pixar’s Cars 3 racing into theaters June 16th, Dole has created some delicious and healthy Cars 3 inspired recipes using their new Dole products featuring Cars 3 characters! Using lots of Dole’s delicious fruit, you can make a red smoothie inspired by racing star Lightning McQueen! 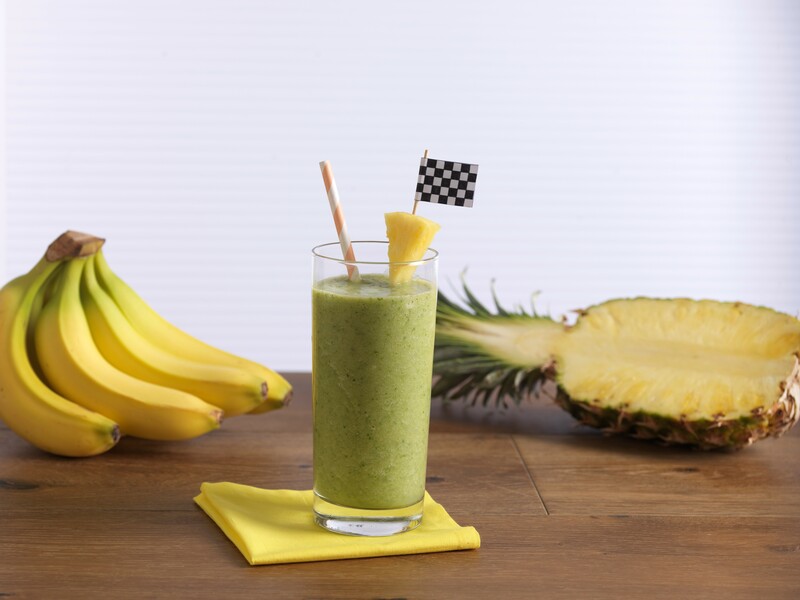 This pineapple-infused smoothie inspired by newcomer Cruz Ramirez is the perfect refreshing smoothie to race into summer time with! This banana roll is perfect for breakfast, snack, or light dessert! This is inspired by Cars 3 character Jackson Storm. You can find the recipe on Dole’s website here.